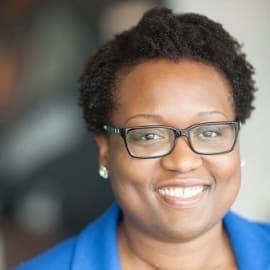 Racquel Russell joined Zillow Group in January 2015 to create and lead the company’s government relations and public affairs operation. In her current capacity, Racquel oversees Zillow Group’s thought leadership on housing and economic policy, community and civic engagement, as well as external partnerships and collaborations with government and NGOs at the local, regional and national level. Previously, Racquel led the White House Office of Urban Affairs and Economic Mobility, where she advanced President Obama’s agenda on various issues including neighborhood revitalization, affordable housing, economic opportunity, nutrition policy and low-income programs. Prior to joining the White House in September 2010, Racquel held leadership positions for U.S. Sens. Tom Carper and Bob Graham as well as for the National Governors Association. Racquel received her Juris Doctor from the George Washington University Law School and holds a Bachelor of Science in Communications from the University of Miami.